“… we should aim for an environment that supports teacher growth so the classroom is a place of research where teachers ask questions and act as researchers. 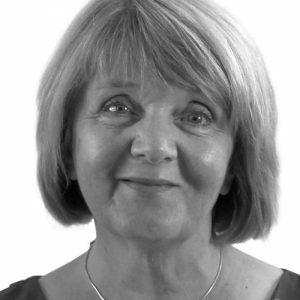 The idea of educators being ‘incomplete’ (a quote from a Reggio Emilia conference) in their understanding of children and their thinking in early learning services can be challenging, said early childhood expert, Susan Stacey, in a recent Educa webinar. But, this helps us nurture teacher inquiry-based practice. It puts us in the role of researcher and encourages a flexible mindset. Based in the Canadian province of Nova Scotia, the author, teacher and educator of teachers was presenting on the topic of Nurturing Inquiry-Based Early Learning Using Creative Environments (available here). “Sometimes we think we have to immediately know what children are doing and how to respond. We should pause … slow down; we must constantly be updating our knowledge in response to how children are changing and learning. “Think hard what the children are doing. Observe, be flexible and open in our thinking,” said Stacey. In her work teaching educators at college, Stacey says often the teacher’s voice is missing in the documentation. “It’s the reflection that’s sometimes missing. I know that sharing our thoughts might make us feel somewhat vulnerable and worried that people might judge us if we put the teacher’s voice in there. We’re good at putting the event in the context of where it happened, telling the story of what happened, and sometimes for more inexperienced people, it stops there. But how will parents understand how we made our decisions? How and why we did what we did in response to children if we don’t share our reflections,” said Stacey. She also encouraged educators to add their questions in the documentation, for instance stating something such as, ‘We’re not sure what was going on and will continue to observe’, and to add two to three of their own questions about the event. When parents see this, they may have insights to answer those questions. But the documentation also gives them a look in to how the learning program works and how decisions are made. As well, perplexed educators often benefit from sharing and discussing their documentation in their staff meetings. You would have heard about the ‘cycle of inquiry’ – the what, so what, now what questioning – in the early learning sector. It involves reflecting with others through observation, experience, anecdotes, and narratives as you explore what puzzles or intrigues you about what children are trying to find out. You then search for patterns, insights before considering what you offer as an invitation or support. Then you see how the children respond. You continue observing and forming questions. “In our practice, we don’t have time to just sit and watch. We don’t always understand exactly what we see, so formulations of questions are really important. Write it down then and there on a clip board, Post It notes, or record an image, video or audio on a hand-held device – just a quick observation,” said Stacey. “Ask yourself what’s intriguing about what we notice? It may have been the smallest little moment. How are they trying to find out about the world? What are the children’s strategies and ideas? Stacey said children surprise us – we expect something will happen but “they go off on all different tangents and do things we don’t expect”. It’s important to be open and flexible. Inquiry-based learning using creative environments pivots off the approach we’re familiar with in the ‘cycle of inquiry’. The latter is something Stacey said she’s used for much of her 35 years as an early learning practitioner. “I started to think about ‘What’s the child’s cycle of inquiry?’, and then worked with a designer to create a new version of the adult protocol, with the child in the centre. Stacey provokes educators to consider how environments can support inquiry and curiosity in adults as well as children. “We have to start thinking of the environment in a broader sense so not just the physical materials that are in there, such as the furniture. An environment can be a place that supports risky thinking, that’s innovative and out of the box. It may create some kind of disequilibrium for the teacher, too. In fact, Stacey said, we should aim for an environment that supports teacher growth so the classroom is a place of research where teachers ask questions and act as researchers. Stacey’s expansion of the ‘cycle of inquiry’ to include environments uses encounters with materials as a form of inquiry. The child brings their prior knowledge, experiences and provisional ideas and they explore, test and revisit in their encounters with materials. They build their knowledge through these experiences. “When we have interesting materials and opportunities, then interesting things happen. It’s about encouraging interesting and alternative forms of expression,” she says. Keeping loose materials and found materials in uniform, open and transparent (uncoloured) containers on a shelf so they not only look aesthetically pleasing, but are easy for children to see and access. Creating a mini environment such as on a shelf or cupboard exploring theories about growing plants. Have bulbs with their bottoms sitting in a bit of watering to germinate, a vase of flowers – and let them slowly die so children can see the process – and other plants that need water to keep growing. So, at what point does an inquiry based approach start? Your service should be explicit in its philosophy statement about taking an inquiry-based approach in terms of “how your practice will play out”. “So, there’s almost an expectation when someone is hired that the philosophy statement is there to back you up. If you don’t have that you’re in a difficult situation,” said Stacey. She pointed to influential educator Sir Ken Robinson whose TEDX talk puts forth a provocative idea about three types of people – the immovable, the movable and the moving. “When we’re working with someone who we perceive to immovable in terms of trying new things, we can try to do some small inquiry about something that a child is interested in, document it, and take it back to show this person the photograph and notes. Share with them in order to invite them in …. ‘here’s how this child is exploring and developing this knowledge about….’. In this way, dialogue can begin. To watch a replay of the webinar, go here. Find out about future Educa webinars and workshops – they’re free, by the way – on this page. Lean more about Sue on her web page at suestacey.ca. Her latest book about supporting inquiry-based learning is available here. In Canada, the distributor for her books is Login Books at www.lb.ca, and in the US, her books can be ordered directly through Redleaf Press.